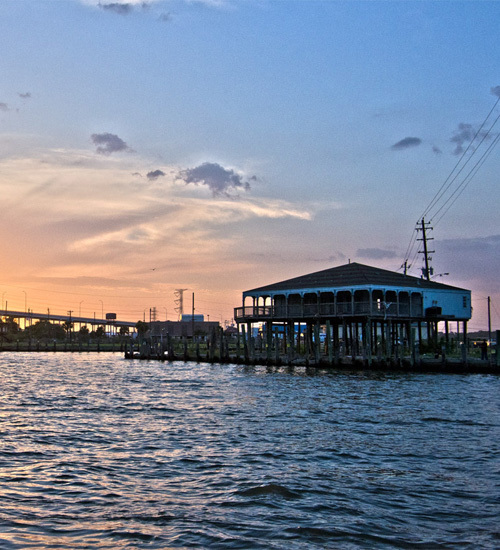 When you find your Seabrook home, you’ll enjoy the small town waterfront atmosphere just minutes from the bustle of Houston, the relaxing waters of Galveston Bay, and the Kemah Boardwalk. This thriving community offers many amenities for business, living, and recreation, including 17 parks and nationally renowned hiking and birding trails. Enjoy the constant breezes as you stroll among the dozens of charming and unique merchants of antiques and specialty shops of the well-kept secret of Old Seabrook, which offers the popular Back Bay Market on the second Saturday and Sunday of each month. Don’t forget to stop by Seabrook’s seafood markets for shrimp, crab and fish fresh off the boat! Many home-buyers seeking waterfront communities choose Seabrook for the residential communities of Lake Cove, Taylor Lake Village, and Seabrook Island which offer traditional family atmosphere along with the relaxing water views. Many homes here offer waterfront lots with boat docks or moorings.